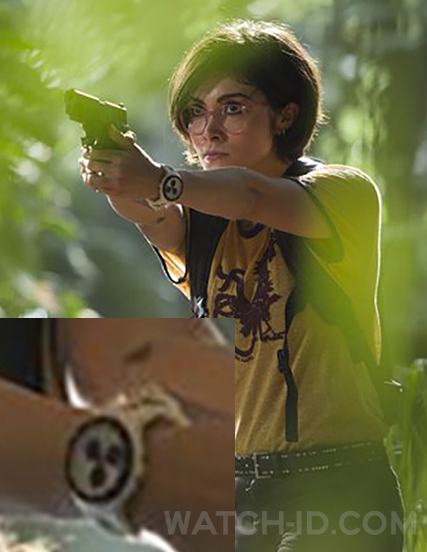 Daniella Pineda wears a Swatch Piste Noire SUSW407 watch in Jurassic World Fallen Kingdom. Actress Daniella Pineda wears a white Swatch Piste Noire SUSW407 watch in Jurassic World Fallen Kingdom (2018). 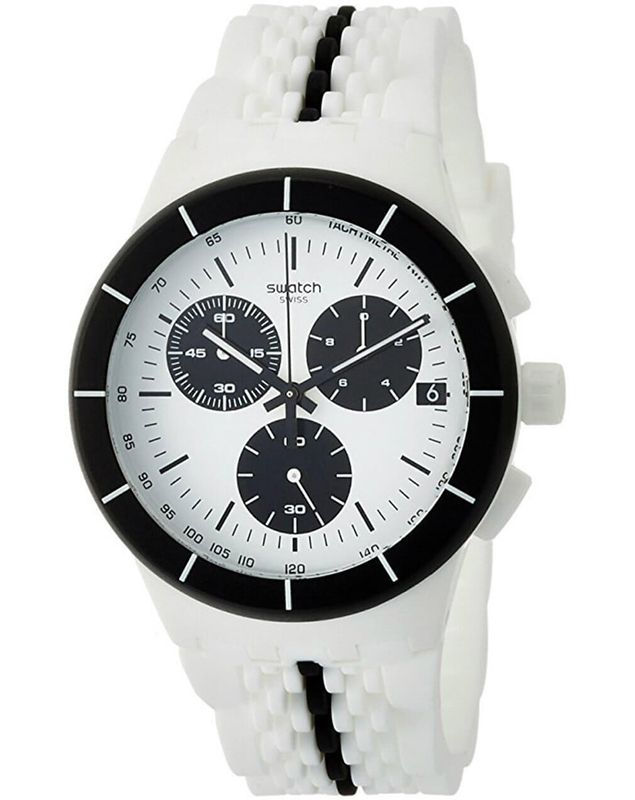 The watch has a plastic white case with black bezel, three black subdials, and a white sillicone strap with black stripe. Released as part of the Swatch 2017 Spring/Summer collection, the watch features a chronometer, date and glow in the dark funtion. The watch is available on Amazon.com for $80 or find it on eBay. Daniella Pineda plays the charachter Zia Rodriguez: a former Marine who is now the Dinosaur Protection Group's paleoveterinarian. Jurassic World Fallen Kingdom is the sequel to Jurassic World (2015) and the 5th movie in the Jurassic Park franchise that started in 1993.